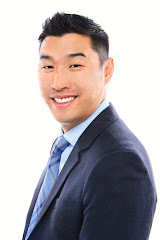 Welcome to the Q3 2012 Alan Wang Realty Real Estate update. For those of you that are new to my site, in addition to my Twitter feeds (https://twitter.com/alanwangrealty) which are real time updates, every quarter I put out a quarterly review of how the market is performing, direct activity I am experiencing and also critical reminders. You will recall in my Q2 Real Estate update that I declared that bidding wars were back. This has come to a surprise to many, but as I've been calling out in my updates since 2010, our market has been steadily on the incline for the last 2 and a half years and now in the last 2 quarters the market is simply red hot. Since Q2 the market has held steady with 5 to 15 offers per house. Make no mistake it's a Seller's market and those of you that have bought homes and have been waiting to sell, contact me so I can run a Comparable Market Analysis to see if it's a good time to sell or not based on when you bought the home. If you have some equity, we can take advantage of this market and plan for the next steps in parallel. If you are looking to buy, I've been sitting down with each buyer to educate them on what it takes to win, let me know if you want to sit down and discuss the right strategy. Many people ask me what has been the cause of these bidding wars. At a high level, the Bay Area has always had a density problem; a large population, lack of space to build housing for a population that values purchasing real estate for their jobs, investment, schools and beautiful weather. However over the last few years interest rates have been at historical lows. There have been some key factors that have jump started growth this year. Due to an influx of hiring from outside states, this has increased demand for a complacent group of home renters (many were potential home buyers) that have been enjoying lower rents over the last couple of years. As these 1 to 2 year leases come due, landlords are raising rents to market prices to meet the ever increasing demand for the low supply of rentals available. These renters run the calculation of rent verses buying and many make the decision to start putting their money towards a home at least they can take advantage of some write offs and try to earn appreciation in the process. These renters have flooded the market and have joined regular home buyers creating additional competition. There is also the human factor, many Buyers in the market creates confidence and home buying goes viral! Real Estate in major cities in the rest of the United States are also showing finally showing lower inventory levels and a flurry of activity. It goes to show how unique the valley is in that we are 2.5 years ahead of the rest of the nation due to the strong local technology micro economy that continues to lead innovation and attract investment and pursuit of talent. Recall that interest rates have been at historic lows. The Federal reserve has stated their plan to keep interest rates low and will not want to make any drastic changes especially for the election year or even in the near term. The Fed has upped it's game with Quantitative Easing 3, where it is planning to purchase additional agency mortgage backed securities about $40B per month which will push long term rates down even lower. If you haven't refinanced, it maybe time to take a look at how much lower rates can go. Again this is more of a reaction to the entire United States market and the Bay Area can only benefit from this since most the valley is generally employed and can take advantage of the low rates. Exclusively for my clients, I have compiled a Buyer Real Estate Introduction Guide fresh off the press. Let me know if you or someone with Real Estate needs would like a copy! To check the status of your tax status go to the county website http://payments.scctax.org/payment/jsp/currentSecured.jsp. The first installment is due and payable on November 1. However, you have until December 10 to make your payment. (Always give yourself a few days, the county is not flexible on late payments). It is a challenging market and you will need an experienced Realtor that knows how to represent you and win in this market. On the selling side, let me evaluate your home and see if it makes sense or not to sell. Whether you or your friends and family are looking to buy or sell property, I thank you for always referring Alan Wang Realty!